Home » More... » Weaving » Trump’s War On The Media Echoes 2009. But The Press May Find It Harder To Fight. In October 2009, as the Obama White House felt besieged by what it viewed as advocacy journalism masquerading as fair and balancednews coverage, top aides to the president declared a de facto war on Fox News. On the morning of Oct. 18, David Axelrod, senior adviser to President Barack Obama, said that Fox would no longer be treated like other news organizations inside the walls of 1600 Pennsylvania Ave. That same morning, White House Chief of Staff Rahm Emanuel said the network was not a news organization so much as it has a perspective. What happened next was as important a development as the decision to wage the war itself. Fox News competitors rallied to its side, challenging the Obama administrations claims about the network and then refusing to partake in a round of interviews with an administration official after Fox was excluded. It was a seminal moment of collective action by the Fourth Estate. And it worked. The White House backed down from its confrontation with Fox and the networks executives and began charting a course of better understanding. Eight years later, the White House press corps faces a similar crisis point. The Trump administration on Friday excluded a number of prominent news outlets from a closed-door mediagaggle that Press Secretary Sean Spicer conducted in lieu of a formal briefing. The barring of reporters followed weeks of unending broadsides that the president and his top aides have leveled against the press writ large and against certain television networks specifically, in which theyve gone so far as to declare the media the opposition party and the enemy of the American people. The Associated Press and Time magazine boycotted Fridays gaggle, while The Wall Street Journal said it would not go again under similar conditions. And one of Fox News most prominent anchors, Bret Baier, expressed solidarity with the excluded, echoing the sentiments of other anchors at his network, like Shepard Smith and Chris Wallace, who have criticizedthe Trump administrations most recent anti-press rhetoric. Prime-time host Bill OReilly suggested last week that the Obama White Houses attacks on his network in 2009 were unwarranted while Trumps critique has merit. Its harder to run the country because these dishonest people are undermining the whole process, OReilly said. Fox & Friends co-host Steve Doocy referred to the media as the opposition party on Monday morning, a phrase popularized by Trumps chief strategist, Steve Bannon. That night, host Sean Hannity told viewers the media had declared war on President Trump and, by the way, in turn, you the American people who put him in office. And they dont seem to be the only ones in the press sympathetic to Trump as he blasts their colleagues. The White House press corps now features pro-Trump blogs that seem perfectly happy to side against the press corps. Gateway Pundit has talked about trolling the media along with covering the administration. And Breitbart News, a far-right, nationalist site that frequently targets the news media, has become a major player under this administration, with Bannon, its former chairman, in such a prominent role. Perhaps not surprisingly, Breitbart was invited into Spicers closed-door session, along with The Washington Times and One America News Network, two other conservative outlets whose stock has risen under the new administration and who recently have been called on first at briefings. 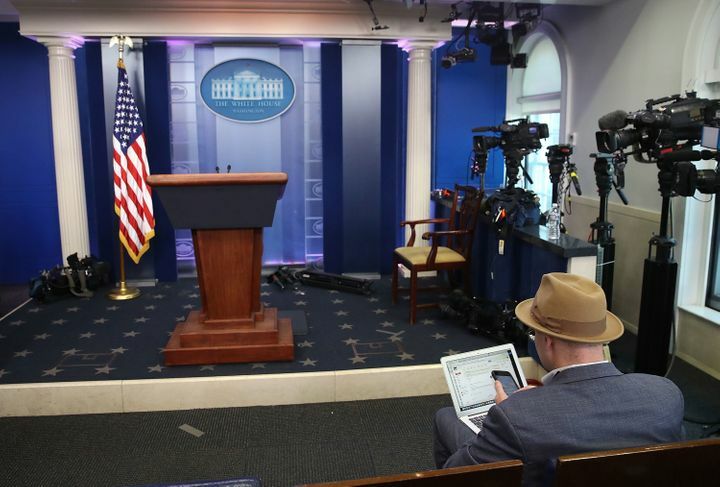 Journalists from news organizations including The New York Times, CNN and The Huffington Post were excluded from Friday’s closed-door press gaggle. All of this has left the press corps in a precarious position at a critical juncture. With Trumps White House threatening access, its unclear whether the Fourth Estate will be able to muster the collective response that proved so effective in 2009. Back then, the Obama administration was lobbing similar, though hardly as incendiary, criticisms about the coverage it was receiving, from Fox News specifically. The networks excessive promotion of conservative tea party protests in spring 2009, along with its perspective on administration policies, signaled to the presidents aides that it was approaching the administration in an overtly hostile manner. Ive got one television station that is entirely devoted to attacking my administration, Obama said in June 2009. Thats a pretty big megaphone. And youd be hard pressed if you watched the entire day to find a positive story about me on that front. What drove the Obama White House to try to marginalize Fox News wasnt simply that the network leaned right, however. It was that the stories being promoted, such as the antics of the fringe New Black Panther Party, alleged corruption involving community organizing group ACORN and past radical statements from then-White House official Van Jones, were gaining traction in the national media. There was a pipeline of stories coming from Fox News and then making it in the mainstream media outlets like the Post and the Times, Dan Pfeiffer, a former top Obama adviser, recalled earlier this week. These stories, he said, were being treated as if they were coming from other mainstream media outlets and given the journalistic scrutiny that would come in a story in The New York Times or The Wall Street Journal, when they werent. What frustrated Obama officials even more was that Fox was promoting these stories during hours traditionally devoted to the days news. 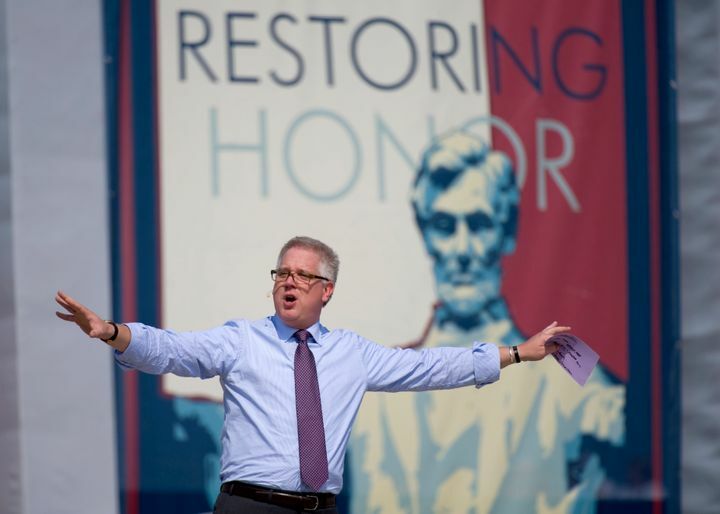 And at 5 p.m., on a daily basis, host Glenn Beck would amplify them further through his apocalyptic, yet entertaining, weaving of conspiracy theories. Beck would lay out his theories like a madman with a chalkboard. But he had an impact. He has been credited with prompting the Sept. 6, 2009, resignation of Jones after highlighting the past views and affiliations of the little-known environmental adviser. While the White House never tried barring Fox News from the briefing room, it declined invitations for Obama toappear on Fox News Sunday as he made the Sunday talk-show rounds in September 2009. They are the biggest bunch of crybabies I have dealt with in my 30 years in Washington, host Chris Wallace said in response. Later that month, Obama adviser Axelrod met privately at Washingtons Palm steakhouse with Roger Ailes, the famed Republican political operative and then chairman of Fox News, to try to hammer out the differences. But the fight escalated. Were going to treat them the way we would treat an opponent, Anita Dunn, the White House communications director, toldThe New York Times on Oct. 11. A week later, Axelrod and Emanuel reinforced the anti-Fox message on the Sunday shows, and Obama reportedly vented privately about the network the following day to opinionated competitors in one of his off-the-record gatherings with newspaper columnists and commentators such as MSNBCs Rachel Maddow. The press pushed back. On Oct. 20, Jake Tapper, then a White House correspondent for ABC News, asked Press Secretary Robert Gibbs during a morning gaggle to explain why its appropriate for the White House to decide that a news organization is not one. After a tense back-and-forth, Gibbs said it was simply the White Houses opinion that Fox News wasnt a news organization. I spoke up against it to the Obama staff both in front of others and behind the scenes, and on air when the State Department and Justice Department targeted James Rosen, because no government should get to say what is or isnt legitimate or to discredit those doing their jobs responsibly thats a way to undermine oversight, Tapper recalled in an email to The Huffington Post. What happened today, I think, was extremely important, Fox News analyst Charles Krauthammer said on the evening of Oct. 22. In trying to ostracize and demonize Fox, the administration needs complicity from other news organizations. Otherwise it wont work. What happened today was other news organizations admirably, and on principle, standing up and saying, No, if you are not going to include Fox, were not going to go. And that solidarity, I think, is important. The following day, Gibbs called a top Fox News executive to set up a truce, according to Gabriel Shermans biography of Ailes and his creation and stewardship of Fox News. And after a week or so, the war with Fox News simmered down and the relationship eventually returned to the status quo. Looking back, Axelrod told HuffPost that he didnt think the war on Fox News was a particularly successful tactic. Though the administrations complaints may have been justifiable, he said, declaring war on a network or in Trumps case, all but one is not an effective tactic. Most responsible journalists recognize the danger when one organization, even Fox News, is out on a list, he added. But other Obama veterans, including Pfeiffer, felt the Obama White House had some success in its mission of adding scrutiny to Foxs coverage. We were far from perfect. It didnt solve all the problems. We felt enough progress made. That the press corps responded the way it did wasnt a surprise, Pfeiffer added. Back then, the media was operating under the same general customs and traditions that had been in place for decades. But now, Pfeiffer said, it is a different era, one more ripe for exploitation by a White House. Trump, he noted, can broadcast his own unfiltered messages through social media or choose from a growing stable of friendly outlets if mainstream news outlets boycott an event. Theoretically, theres a world where they could say, None of us are going to cover if you dont do this, he said. But they wont do that because the Trump folks could just live-stream it on Facebook or Fox will carry it or Breitbart. As for reporters covering the administration, it means less leverage to combat the same basic problems. Eight years after he went to bat for Fox News as it was blacklisted from the White House, Tapper finds himself in their shoes. One of the most aggressive journalists covering the Trump administration, he and CNN have been singled out for ridicule and frozen out in general. The administration did not include the network in Fridays briefing, and it hasdeclined to bookkey officials on Tappers Sunday show. Its an echo of 2009, Tapper noted. I wouldnt say the efforts to delegitimize are exactly the same, but the principle (or lack thereof) is: Discredit an entire … credentialed organization (or multiple organizations, in President Trumps case) based on a facet of the outlets coverage that he doesnt like, he said.